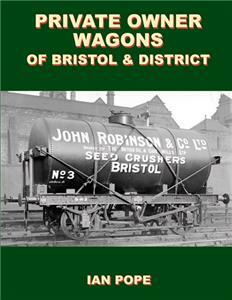 The third volume covering the privately operated wagons of Gloucestershire covers the city and county of Bristol and the areas around Warmley to the east and Avonmouth to the west. The majority of wagons featured in this book were concerned with the coal trade, bringing both housecoal and industrial coals into the city. The City of Bristol also has a long industrial history, thus wagons connected to such diverse businesses as the chemical industry, pottery and fireworks will be found within these covers. Wherever possible a short history of the business concerned has been given, as with the previous volumes, in an attempt to indicate the period over which a wagon for a specific owner might have been seen in traffic. This volume, and the other private owner wagon titles from Lightmoor Press, form an invaluable resource for railway modellers as well as for social and industrial historians. 128 pages hardback.